To be clear, this study does not offer any exercise benefit, despite the anonymous author's stupid lede. Running more treadmill miles is of no benefit to a tethered runner if it exerts *less*; the only point of exercise is the exertion. But the study offers an important scientific insight: "Our finding supports a paradigm shift toward the concept that mimicking our current understanding of biology is not necessarily always optimal" , as the article quotes the paper's two (named) authors. This indicates that while biomimickry can find efficiencies evolved by nature, those efficiencies aren't necessarily optimal. Of course, running a treadmill isn't the complete selection criteria that evolved human running. 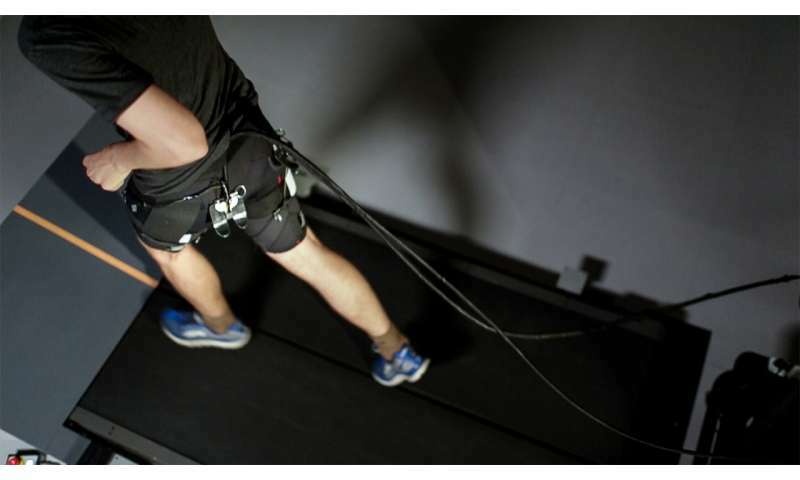 Further study might find other factors in human reproduction (including, but not limited to, survival) at odds with the tethered suit's more metabolically efficient running. For example, it might be harder to find a date tethered in a running suit. Because the system is not portable, they have to keep the runner stationary, therefore the treadmill. Probably these kind of assistive systems when ready with clear gains will first be used with soldiers. For a 1% improvement to optimal, at cost of complexity, I don't think so. The value here is the scientific proof that millions of years of human evolution haven't optimized running to perfect metabolic efficiency. With its implications for biomimickry's efficiency. As the scientist quoted in the article said. I think no one has ever claimed that evolution produces something perfectly optimal (which in any case it can't because what is optimal is a function of environment, which includes the effects on the environment of an adapted organism. So even in a fully static external world - which we don't have - 'perfect' is a moving target). Just like the joke goes: "I don't have to be able to run faster than the bear. I just have to be able to run faster than you. " Organism are complex. Defining what 'optimality' is is an ambiguous proposition, at best. Well, biomimickry and other design guided by biology does value selected biological performance highly. Abstract "genetic algorithms" in computing aim to find the best solution fit to the criteria by evolving. 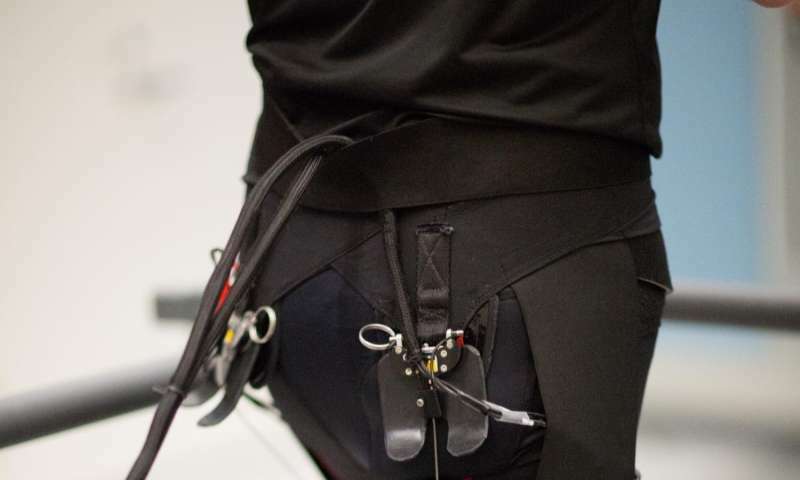 I don't know if this exosuit research challenges a claim of "perfectly optimized", but it does establish a margin beyond the natural achievement, at least against the metabolic efficiency criterion. In fact, since the natural is within 1% of this synthetic max, metabolic efficiency seems the overwhelming driver vs other compromising criteria pressure. 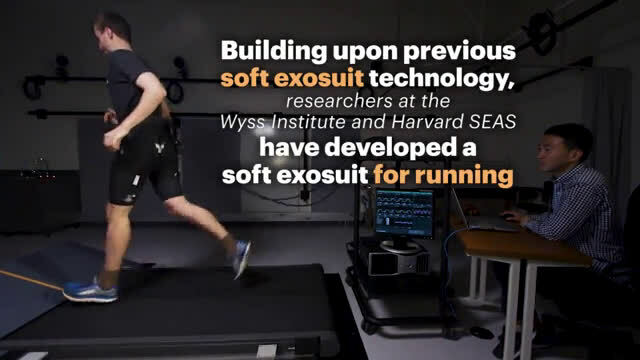 In short, the project's showing evolved human running is extremely efficient metabolically, but not perfectly so, tells us about both human evolutionary pressures and the efficacy of our adopting evolution for engineering. Yes. I'd also expect some natural variability due to everyone being a bit different. If we were all perfect in that regard despite natural variability then it would actually be an argument for a 'designer'. Lol...thanks. Screwed up a translation there ("Kriterium" in german). Wasn't aware of the cycling meaning of criterium in english. You live and you learn...at any rate: you live. At any rate we go round and round the track, whether or not we get it right :).